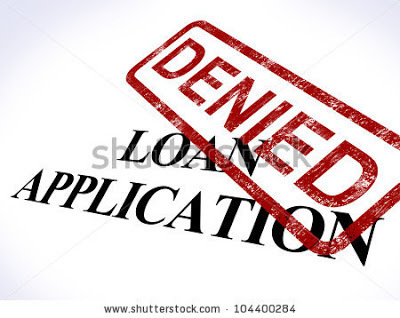 Refused Standard Loans What Are The Best Options? If you are looking to borrow money, but you have problems getting standard unsecured loans for whatever reason, you may look to other options. Payday or secured loans, loans in which you use one of your assets as security, are possibilities. If these are options for you, which is best and why? Payday Loans are short-term loans taken out only until the end of the month when you receive your paycheck and can then repay the loan. To secure a payday loan you will need to show proof of employment and payslips. One benefit of payday loans is that they do not take security for the loan so you will not lose any asset in the process if you cannot repay, but they have downsides too. Payday loans come with generally higher rates of interest than other loans, so even borrowing for a short amount of time can be an expensive option. Another option you may look into if you have been unsuccessful with other channels is a secured loan on your property. The lender has the added security of the property so if you cannot repay the loan, the risk to the lender is minimised. This means that secured loans can be much easier to come by than unsecured loans, especially to those with poor credit histories. The advantages and disadvantages to secured loans, as with logbook loans (see below) are the converse to those of payday loans. The downside is that you are putting your property at risk if you are unable to keep up with the repayments. The advantages, however, are that secured loans generally offer better rates than payday loans. In taking security the risk to the lender is minimised so they are capable of setting lower rates knowing they will not lose out themselves. A third option you may consider are logbook loans. Logbook loans are, similarly to secured loans, the ability to borrow money that offers an asset as security, in this case your vehicle. Logbook loans typically allow you to borrow up to 70% of the value of your car and their advantages, similarly to property, are lower rates than payday loans. They may be considered less risky options than loans secured on property, however, as many of us view our vehicle as a more expendable item than our house, should you fail to repay. In weighing up all these options you must consider a number of things. How long do you need to borrow money for? How much can you afford to pay for the loan? How capable are you of keeping up with the repayments? This last one is particularly important when considering secured or logbook loans and brings with it a further question, how likely are you to lose the asset you have secured the loan against? Many may consider their car to be a more expendable security. There is no one right answer, it is dependent on each customer's circumstances.